Weigh different. Weigh better. Weigh happy. Shaping healthy behaviors through connected fitness is not only smart but is the best way to help you stay in shape. Connected fitness products are on the rise, and just when you think you have see it all, here comes a product that blows your mind. 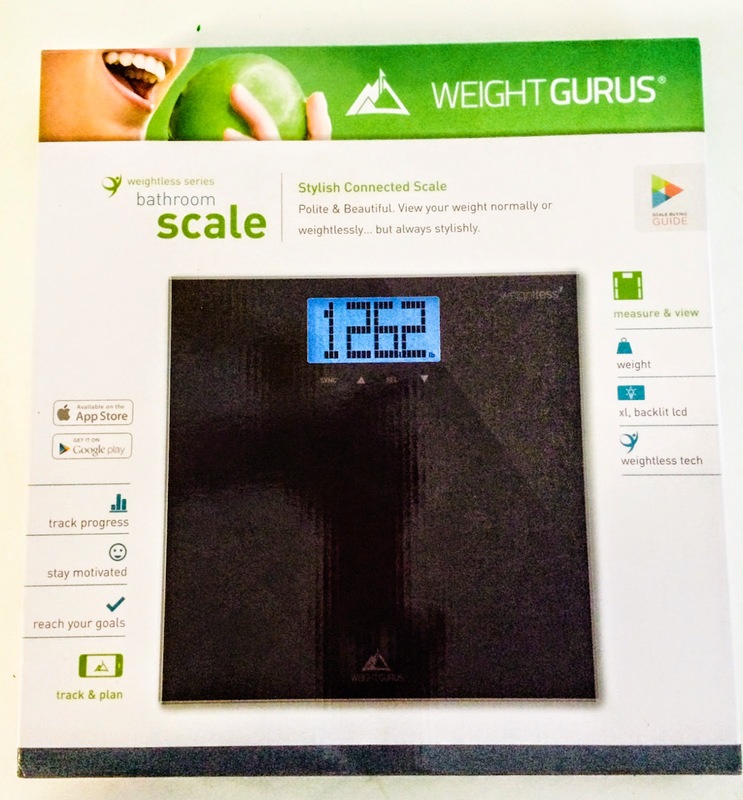 The WeightGurus Smartphone Connected Digital Bathroom Scale with Large BacklitLCD and Weightless Technology(c) is not your typical bathroom scale. 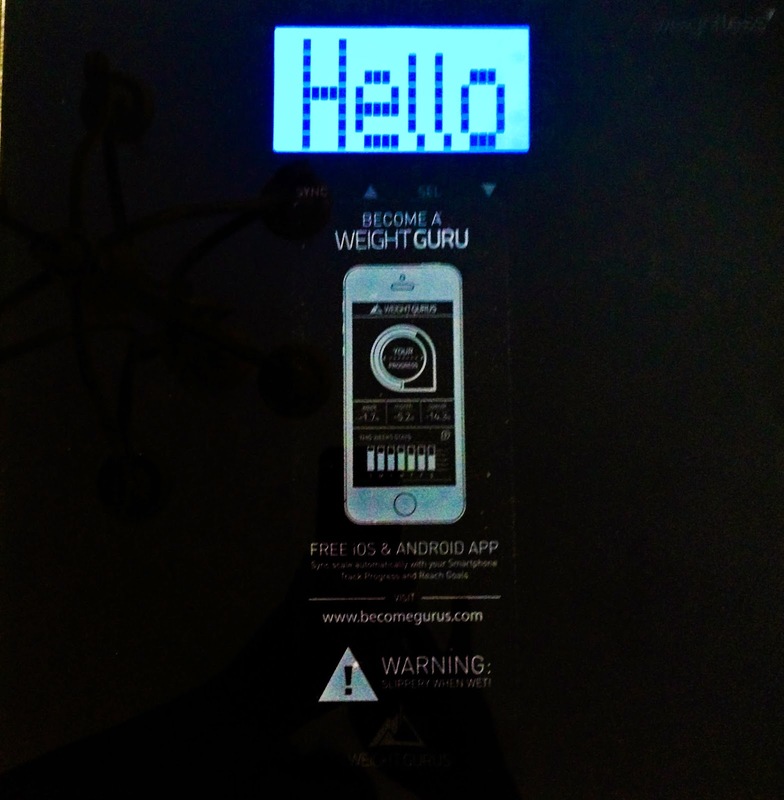 This genius product encourages you to loose weight by letting you view your weight dynamically as weight progress. 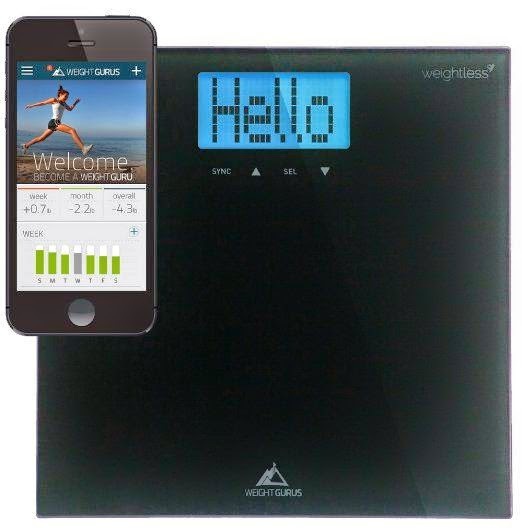 The scale also comes with an app to lets you sync your weight automatically with your iPhone or Android device. Chris Chupp, CEO of Become Gurus said, “A product isn’t ‘smart’ because it’s connected or has certain technology. We believe that communicating weight information thoughtfully, in a way that encourages people to become healthy, makes the Weightless scale smart. 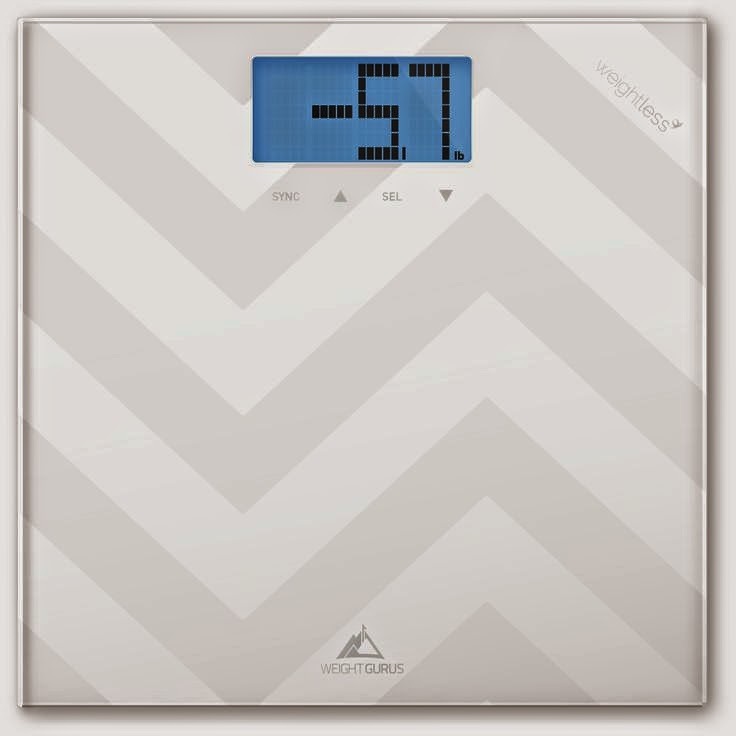 With Weightless we focus on positive progress – being down 5.7lbs rather than how much you weigh.” Weightless Scales shift the focus in weighing from weight to becoming healthier. View your weight dynamically as Weight Progress (-5.7 lbs) – be encouraged by how your weight is changing instead of watching the stigmatizing number (174.3 lbs). ALL THE FEATURES YOU'LL WANT: Auto Step-on (turns on automatically when weighing). Auto Off. Auto calibration. Auto user detect (important for multi-user homes - e.g. husband/wife). Supports up to 8 users. Non-slip, scratch resistant feet. 4 ultra-precision weighing sensors. 400lb capacity. +/- .1 lb resolution. Durable tempered glass construction. Large weighing platform (150 sq inches). Extra Large, Backlit LCD (4.3"). Kg / Lbs. 4 AAA batteries included. A WEIGHT LOSS SCALE: The Weightless scale is the only scale specifically designed to encourage weight loss. 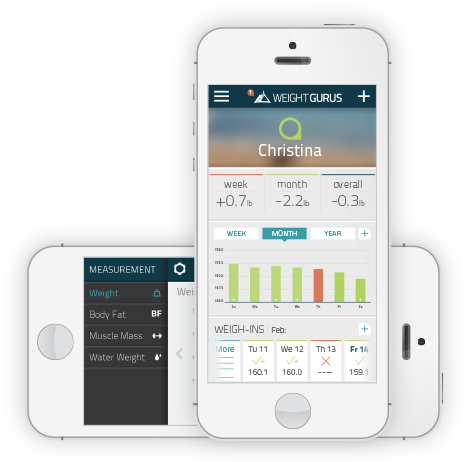 The FREE Weight Gurus App tracks progress which encourages you to reach your goal. The Weightless feature lets you manage your weight by how much you've lost instead of how much you weigh. With Weightless you decide how to view your weight - by the number (e.g. 173.4lbs) or weightlessly by weight change (e.g. -12lbs).